What a relief huh? It could not have gone better. Gene was classy and set the tone nicely, Peter was heartfelt but held it together, Ace was at ease, lucid and funny, and Paul laid down the rock & roll law with final defiant words on behalf of the band and the fans. Remarkably, even without their instruments, make-up, or a show, it was classic KISS because, as nature would have it, the four personalities remain intact. In fact, standing there together again, the undeniable force of their dynamic tension and unique chemistry was in clear evidence. Paul was right: this was” vindication for our fans” and, were not a fluke. They had the talent, a vision, drive, attitude and belief. Funny thing is though, for all their keen planning over the years, you create four divergent characters by design and then expect them to assume the roles and get along? Eventually you have the runaway rock & roll roller coaster that was KISS circa ’79. That engine had proven to need a lot of fuel and the track a lot of grease(paint). And so it goes …..two of the pistons got fried, and all for the love of rock & roll I might add. Unlike other bands that fell by the wayside in the 40 year span that is KISSTory, KISS learned to evolve like any successful enterprise, outsourcing to plug and play. If they hadn’t, the glory that was this induction may never have happened. 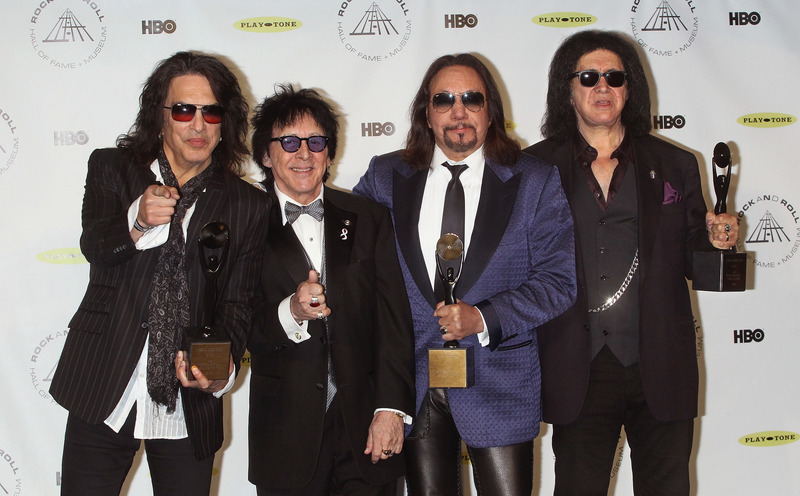 Maybe the Rock Hall gave up waiting for them to quit but, as KISS fans have known all along, the word is not in Gene or Paul’s vocabulary. 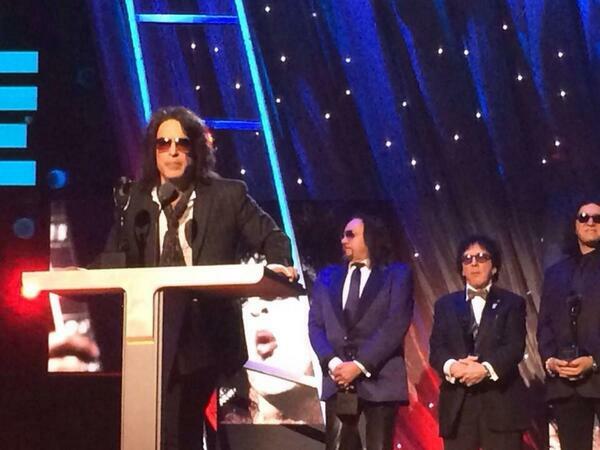 They stood tall to make us proud, our intrepid champions ….the Hottest Band in The World, then and now: KISS!